In my last post on Happiness, motivation and team performance, I suggested a happy team was more likely to be an outcome of a motivated team, than something you can work to achieve in isolation. This post looks at some of the key elements a leader can use to develop a motivated and committed team that in turn should lead to a happy group of people who enjoy their work. Dr David Rock, in his book Your Brain at Work, defines the SCARF model of thinking as what happens in the brain during social situations. It can provide a useful insight to the way motivation works. While it may seem odd to some, every team, every project and every workplace is primarily a social situation as people interact with other people to achieve something for their stakeholders, who are also people. A leader who establishes the right settings for each of these factors, for each team member, will lay the foundation for a successful and happy group. The challenge for a leader is that each of these factors can trigger a threat or a reward experience: the experience activates the same network that monitors real pain and pleasure. Insufficient levels will cause resentment (pain), the right levels from that person’s perspective, pleasure. But too much of any (with the possible exception of fairness) can lead to fear or the feeling or repression (pain). The challenge for every leader is to know enough about your people to hit the ‘sweet spot’. Everyone has a deep human drive for a feeling of self-esteem or competence, but this is almost never assessed on its own: we are social beings, and as such our sense of competence appears to be deeply connected to others around us. What we actually measure is the more dynamic sense of ‘status’. Status means where we are positioned in relation to those around us, the ‘pecking order’. A person’s perception of status, and any changes in it, will be experienced as a reward or a threat. A sense of increasing status can be more rewarding than money, and a sense of decreasing status can feel like your life is in danger. Unfortunately, there’s no universal scale for status. When you meet someone new and size up your relative importance, you might do so based on who is older, richer, stronger, smarter, or funnier. Whatever framework you think is important, when your perceived sense of status goes up, or down, an intense emotional response results. The challenge for every leader is to respect the status of all of the team members and minimise negative movements. Conversely, thrusting someone into a ‘high status’ role they are not prepared for can be equally destructive: this is why public speaking ranks as one of the most feared occupational hazards— the spotlight is on the speaker, it is a ‘high status’ position, and the person is terrified of failing. A sense of uncertainty about the future generates a strong threat or ‘alert’ response. Your brain detects something is wrong, and your ability to focus on other issues diminishes. Your brain doesn’t like uncertainty because it’s like a type of pain, something to be avoided. On the other hand, certainty feels rewarding, and we tend to steer toward it, even when it might be better for us to remain uncertain. Effective leaders provide enough certainty for their followers to experience the feeling or reward, but not too much to stifle creativity and innovation. Again this is a balancing act aimed at hitting the sweet spot and needs to be nuanced to the characteristics of each individual. Some people crave stability and certainty, others like a degree of challenge (but not too much). Successful autonomy feels great! You have been given a challenge and succeeded. No one like to be micromanaged—even in jobs that require close coordination between a number of people, such as production lines, each person, and the group as a whole needs to feel they have some control over their destiny if you want a motivated team. The art of providing the right amount of autonomy to each team member is effective delegation. If the delegation is a stretch assignment for the person, make sure someone is available to provide coaching and support to make the learning experience enjoyable. Most people like to learn new skills but hate failing. A feeling of relatedness is a primary reward for the brain, and an absence of relatedness generates a primary threat. The feeling of relatedness is what you get when you belong to a group. Having many positive social connections, for example a sense of relatedness, doesn’t just increase your happiness, it can reduce your blood pressure and help you live longer. The challenge for leaders is to create an inclusive group. Just as everyone’s brain automatically classifies situations into possible reward or threat, it does the same with people, determining, subconsciously, whether each person is a friend or foe. People you don’t know tend to be classified as foe until proven otherwise, including a new team member. Careful planning is needed to build the team initially, and then to introduce new people into a team once it has formed. How individuals relate is cultural, some cultures and individuals are highly tactile and enjoy close physical contact where hugs and kisses on the cheek are part of the normal social processes, even in the workplace; others expect and require more personal space. This is not a problem if everyone is from a similar background but needs careful management if the team is made up or people from different cultures—there can be too much of a good thing for some people! Fairness can be more rewarding than money and is probably the only SCARF element that is almost impossible to ‘overdo’. Being treated unfairly can generate a strong threat response. What may be a surprise is that a sense of fairness can be significantly be rewarding in and of itself. 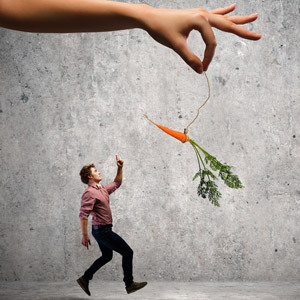 Fairness-generated emotions can run high even in mundane situations such as being ‘short-changed’ at the checkout: the feeling of being “taken advantage of” can wreck an otherwise great day, despite the relatively insignificant amount of money involved. It’s the principle that counts. The tendency to prefer equity and resist unfair outcomes is deeply rooted in people to the extent they are willing to sacrifice personal gain in order to prevent another person from receiving an inequitably better outcome. A sense of unfairness packs a hefty punch and it’s easy to get upset by small injustices when you’re tired, therefore the key role of any leader is to ensure fairness both in fact and in perception. They need to do their best to be always seen to do their best to do the right thing by everyone—this is no easy task! All of the SCARF elements crop up routinely in various theories of motivation. Dr Rock’s contribution is to tie these factors back to the most fundamental processes in the human psyche. When a leader gets the mix right, people’s pleasure drives are engaged, serotonin and other hormones are released and you feel good. If the settings are wrong, the limbic system switches to a ‘threat’ response which triggers a fight or flight reaction. Either reaction occurs deep in a person’s subconscious and happens far quicker than rational thought. Therefore the leadership challenge is to create the right environment for the team, before anyone has a chance to react, encouraging the positive reactions that do appear to lead to the creation of genuine happiness, at least in so far as happiness is driven by the chemical reactions in our brains.